ABOUT US - Transnet Freight Ltd.
From its earliest days, the Transnet team has worked towards meeting our customers increasingly diversified needs. With a full range of transportation, warehousing and logistics services. 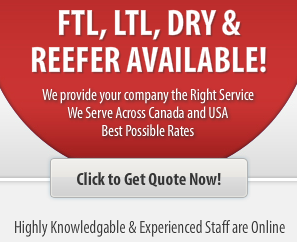 Transnet can meet your requirements and transport your goods between Canada and anywhere in North America. Our modern fleet serves Truckload, less-than-truckload and special commodities. Transnet Freight is also proud to announce that it’s now a C-TPAT and Fast Approved Carrier. We are centrally located in the heart of Brampton, Ontario, along the major intersections of Steeles and Torbram Road.